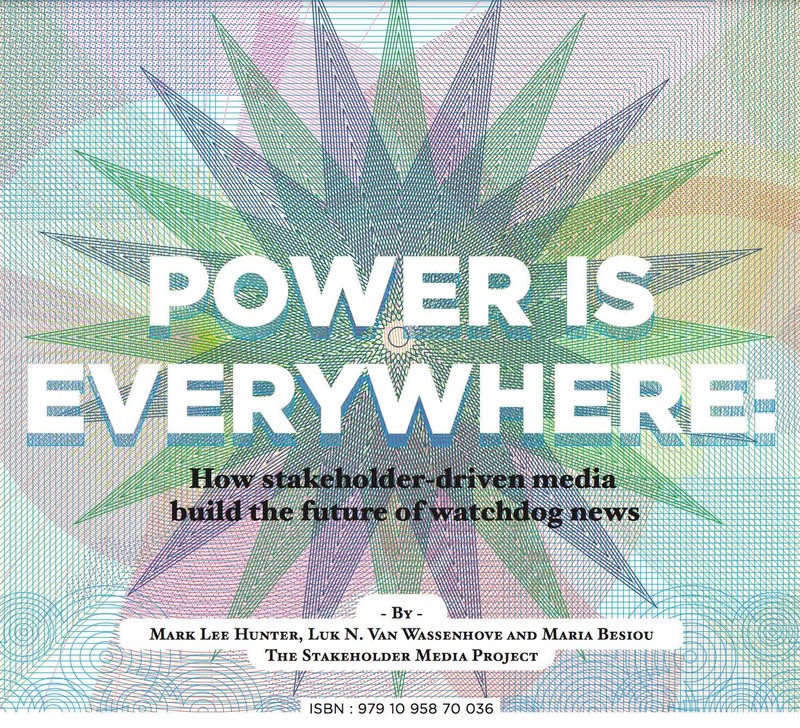 Power is Everywhere draws on ten years of peer-reviewed research, interviews and case studies by The Stakeholder Media Project, based in the INSEAD Social Innovation Centre in Fontainebleau, France. In five chapters, the book provides a blueprint for the conception and operation of media that serve stakeholder groups – communities of interest who affect or are affected by organizations like governments and businesses. Power is Everywhere shows how these media, from greenpeace.org to breitbart.com, differ from mainstream media in their value propositions, content and operations. The authors argue that stakeholder-driven media (SDM) will continue to proliferate, and that they will be an increasingly powerful vehicle for sustainable, fact-based watchdog journalism. model, they argue, aims first and foremost to protect, promote and prevail for its users. The book also sets out a new strategy for achieving social impact through watchdog journalism, based on studies of organizational crises in which communities and coalitions serve as levers of influence. The authors show that SDM can and do generate impact even in the absence of attention from mainstream media. They dissect strategies by which stakeholder groups have prevailed in conflicts with much larger adversaries. They show that the power of actionable, verified information enables coalitions even among communities who pursue different goals. In conclusion, the book details monetization and growth strategies for the next generation of SDM. Na verschillende uitgaves in andere talen, is er nu eindelijk een Nederlands handboek waarin de vermaarde Story-Based Inquiry methode wordt uitgelegd. Het verborgen scenario bevat de belangrijkste inzichten uit de vorige handboeken aangevuld met nieuwe. Onderzoeken is een kwestie van slimme vragen stellen in een slimme volgorde. Dit handboek bevat zorgvuldig gekozen vragen. De onderzoeker die deze vragen serieus aandacht geeft, geduldig en zonder bochten af te snijden, zal merken dat hij of zij als het ware door het onderzoek danst: de ondervonden weerstand wordt minder en het plezier groter. De methode spaart bovendien tijd: de structuur die de auteurs aanreiken voor het onderzoek, is óók een structuur voor een overtuigend en spannend verhaal. Tegen de tijd dat het onderzoek is afgerond, is het verhaal dus óók grotendeels klaar. In het eerste hoofdstuk wordt ingegaan op wat onderzoeksjournalistiek volgens verschillende bronnen eigenlijk is. Het belangrijkste kenmerk, volgens alle definities, is dat de journalist het initiatief neemt tot het verhaal. Dat stelt niet alleen hoge eisen aan zijn of haar alertheid, maar ook aan zijn of haar discipline. 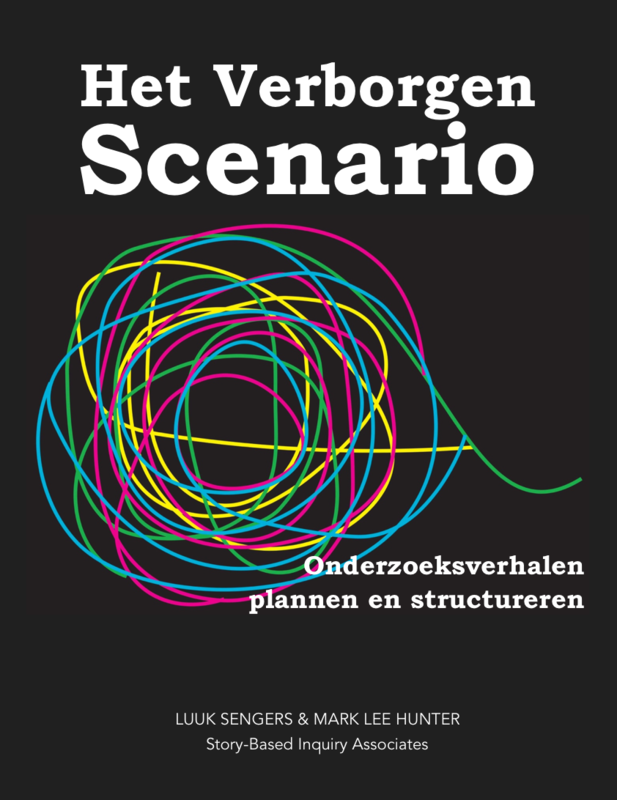 Een goede planning en structuur vergroten de kans op succes. In de hoofdstukken daarna worden de stappen van de methode uitgelegd. Hoofdstuk 2 behandelt het ‘incident’: een gebeurtenis die je op het spoor zet van een probleem. Hoofdstuk 3 moedigt aan om je voor te stellen wat er aan de hand zou kunnen zijn en om dat vermoeden te formuleren als een ‘hypothese’. De hypothese wordt in hoofdstuk 4 gebruikt om een ‘tijdlijn’ te maken: een chronologisch overzicht van alle gebeurtenissen die samen het verhaal vormen. In hoofdstuk 5 wordt getoond hoe je op een gestructureerde en strategische manier bronnen kunt vinden om de gebeurtenissen in de tijdlijn aan te tonen. Het resultaat is een plan van aanpak dat niet alleen handig is voor jezelf, maar dat je ook met collega’s of eindredacteuren kan delen en bespreken. Hoe je vervolgens alle informatie die je uit de bronnen hebt verzamelt logisch kan ordenen en bewaren, is het onderwerp van het laatste hoofdstuk 6. Dit boek is niet alleen bedoeld voor jonge journalisten die voor het eerst op onderzoek uitgaan. De methode is ook geadopteerd door ervaren professionals om hun slagkracht te vergroten en door NGO’s en actiegroepen om hun campagnes helder en overtuigend voor het voetlicht te brengen. 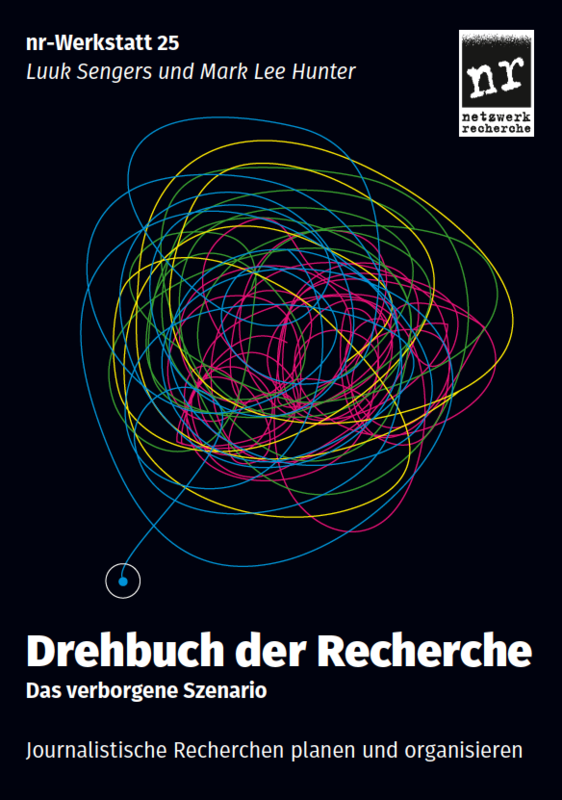 Translated into a dozen languages and used in journalism centers and schools around the world, this handbook redefined the transmission of investigative journalism skills. In eight chapters designed by Paris graphic artist Anne Barcat, it sets out the fundamental skills and procedures for a successful inquiry. 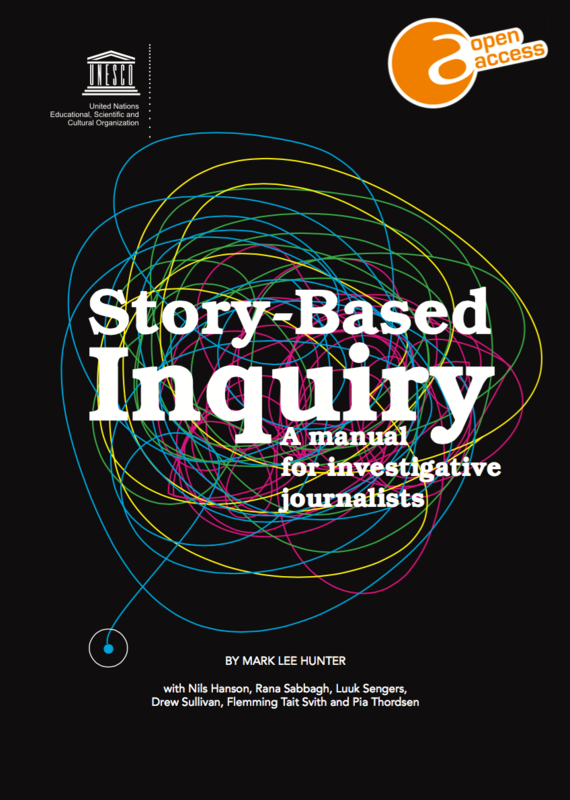 ‘Story-Based Inquiry: A Manual for Investigative Journalists’, by Mark Lee Hunter and others, is the first text that treats investigative journalism as an integrated process focused on producing an original story. 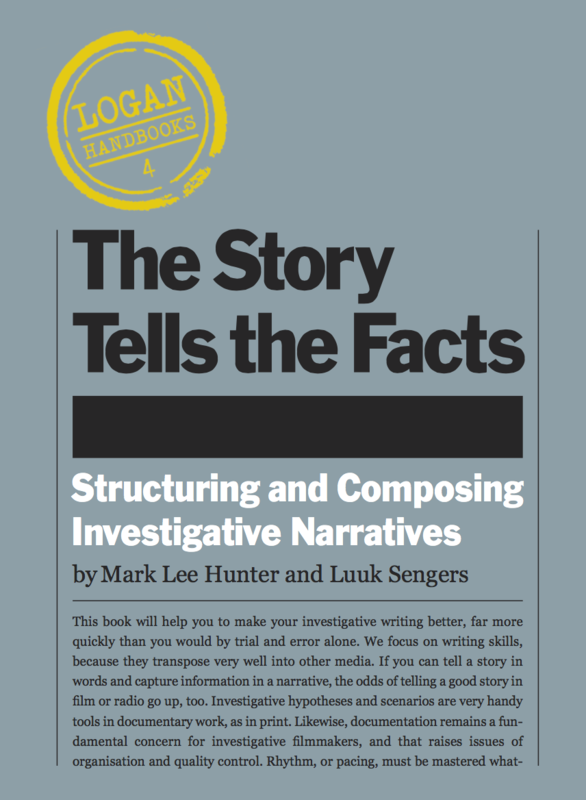 This little book (about 80 pages in A4 format) guides you or your class through the basics of conceiving, structuring, researching, composing and publishing an investigation. It’s based on doctoral-level research and an aggregate 100 years of professional practice, with experts from the Global Investigative Journalism Network like Luuk Sengers, Drew Sullivan, Nils Hanson, Pia Thordsen and Rana Sabbagh. Our thanks to UNESCO, Arab Reporters for Investigative Journalism and International Media Support for supporting this project. The Hidden Scenario goes beyond Story-Based Inquiry into our recent research on making and using timelines. After turning an idea into a verifiable hypothesis, we show how to turn the hypothesis into a scenario, the scenario into a research database including potential sources, and the research into scenes. 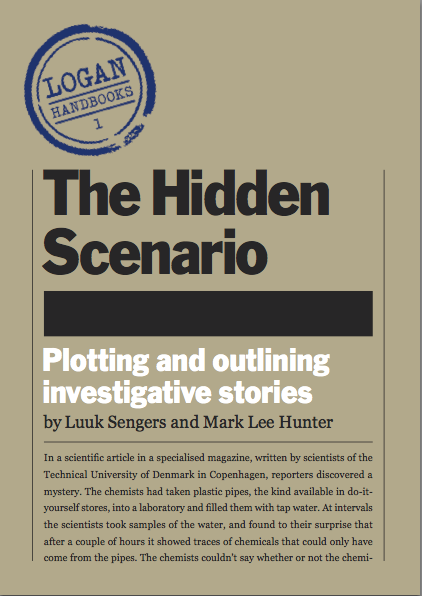 “The Hidden Scenario: Plotting and Outlining Investigative Stories” shows how story-telling techniques can give structure and focus to investigative journalism. Part One sets out the basic principles of establishing a chronology. In Part Two, we move on to the construction of powerful scenes. In particular, we alert the reader to the kinds of dramatic details that must be collected, and why. Part Three shows how scenes lead to sources: people, documents and data that might be available to prove your hypothesis and enrich your narrative. Part Four helps you apply your scenario in the field as a research tool. Sengers and Hunter have developed a method for organising investigative assignments that has proven practical worth. It saves time. It establishes priorities. It heightens the impact on readers and audiences. The Hidden Scenario is required reading for anyone who want their work to make a difference. This manual addresses storytelling techniques for writers and filmmakers, showing how a research database can be transformed into a narrative structure. Next, it delves into specific narrative devices, and shows how they add value for the audience and the producer. “The Story Tells the Facts. Structuring and Composing Investigative Narratives” shows you how to compose a story that hits hard and fast, and builds to a powerful end. The core of this method is continuous composition and referencing — an approach that saves time and anguish, for you and your colleagues. The authors consider narrative structures and how to build them from a chronology or a sequence of scenes. Next they demonstrate specific narrative techniques, discuss ethical issues of investigative style, and move on to quality control and promotion. If you can tell a story in words and capture information in a narrative, the odds of telling a good story in film or radio go up, too. Investigative hypotheses and scenarios are very handy tools in documentary work, as in print. Likewise, documentation remains a fundamental concern for investigative filmmakers, and that raises issues of organisation and quality control. Rhythm, or pacing, must be mastered whatever the media you work in. All of these issues, as well as tools for structuring and composing narratives, are treated in this book. In this anthology, published by Unesco, twenty award-winning investigative journalists from four continents show the best of current practice, and describe in detail their research, organisation and writing methods. Instructive and inspiring for both students and teachers. 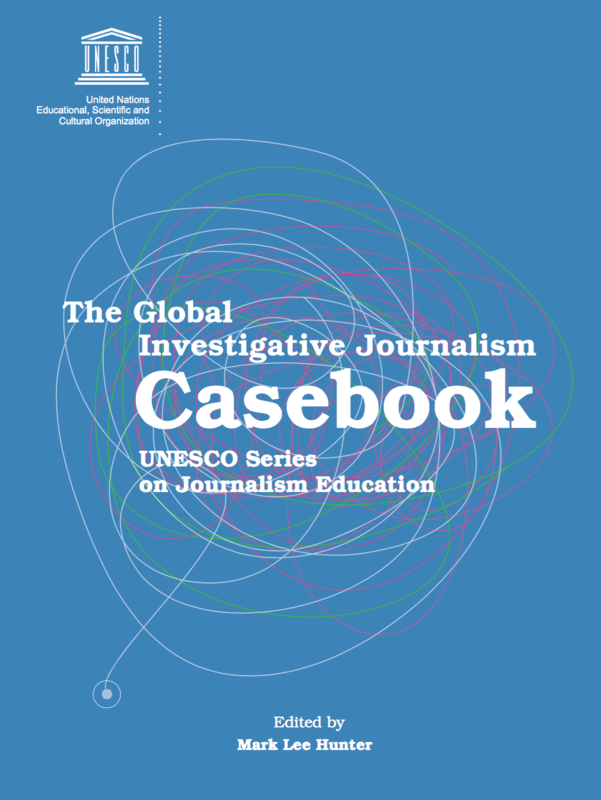 The Global Casebook of Investigative Journalism serves as a complement to UNESCO’s successful publication Story-Based Inquiry: A Manual for Investigative Journalists (2009). The Casebook contains more than 20 recent investigative stories from around the world, covering a wide variety of topical subjects such as freedom of information, good governance, social and legal issues, the environment, health and gender. Each article is accompanied by an explanation of how the authors conducted their research and wrote their pieces. Many of the authors belong to the Global Investigative Journalism Network, and their stories exemplify the cutting-edge techniques and high standards developed within this network. This Casebook thus serves as a key knowledge resource, providing a valuable learning opportunity for journalists and media professionals, as well as for journalism trainers and educators. It will also be used by UNESCO field offices to conduct training courses in investigative reporting.